Hello and thanks for checking my tutor listing. 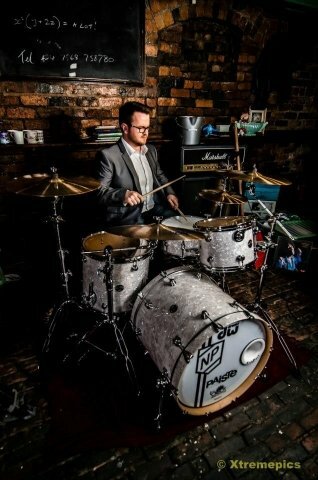 I'm Nick , freelance drummer and educator offering drum lessons covering the county of Warwickshire. I own and operate Brum Drum with a proven track record in Birmingham and due to it's success I am now able to offer lessons throughout Warwickshire as well. I have 15 years of touring and studio experience and I am a Level 4 qualified teacher too. Drumming, music and education is everything I do and I'm extremely excited to be able to reach a whole new region with drum eduction. I first started teaching 10 years ago, at the recommendation of my drum teacher at music college, and I've been teaching ever since. I still take lessons myself, I travel nationally and internationally from the best players and educators in music. I feel it's vital for a teacher to keep on top of new styles, new techniques, new approaches to keep themselves fresh and enthusiastic about their instrument. My youngest student has been 5 years old and the eldest 63 years old! I am a relaxed, enthusiastic and confident communicator and able to reach all age, abilities and backgrounds. Currently operating at a 100% pass rate with rockschool grade exams. In 2012 I successfully completed CTLLS level 4 teaching qualification, I also hold day workshops in schools/colleges around the country and freelance clinics and drum demonstrations. I aim to provide the complete education experience, so, I remain flexible to the individual learning styles and desires of the student or parent depending. I am able to teach absolute beginners, both young and … not so young! I have an extensive knowledge of styles and techniques, each student's progress will be closely monitored and all lessons tailored for each student so they not only learn the instrument, but, they have fun and enjoy the journey too. I enjoy covering as wide an age and ability range as possible, you may have been playing for a number of years already, promised yourself you would learn but never quite got round to it or the kids are old enough to take care of themselves and your time is your own now? Whether you just want to jam along to your favourite songs, improve on technique or really get deep and do the whole thing from scratch? We've got the methods, the experience and knowledge to offer the best drum lessons and quality learning experience. You can come to our studio or choose to take drum lessons in your own home with our mobile service.